For seven months already I am practicing the balade in g minor from Chopin. I got inspired by the recording of Krystian Zimerman. I really love this piece. Every week I try to learn 5/6 new bars to keep up a steady progress. My goal is to be able to play all notes before the end of the year and I was looking for some technical tips. Being able to performe this piece could take a year more probably. This week I started to learn the bars 169-171 and I was wondering whether someone on this forum has some advice on how to approach this part. I am not sure whether I got the timing right in bar 170. The bar starts with the quarter note cc. Then there are five notes which last 0,4 beats? (b-flat/d-flat, ce, b, b-flat and ce). Together that's 3. I can follow the other three beats in the bar. When you play the first quick note in the right hand, which is b-flat and d-flat together, do you start with a c in the left hand? So I have five notes in the right hand of 0,4 beat and 4 notes of 0,5 beat in the left hand. Am I correct and does anyone has any tips on how to study this part. Last edited by Poetje; 05/15/17 04:13 PM. My first reaction to your post is that anyone who is trying to learn a work of this difficulty by learning 5/6 measures a week is most likely not equipped to handle this piece. That, of course, is not going to prevent you from working on it, but it does seem that if this is your approach the piece is well beyond your abilities to master. How "well" (very subjective) have you learned the first 169 measures? Who learns a piece a few measures at a time? I don't understand what you mean by 0,4 beats and 0,5 beats. The piece (at this point), is in 6/4 time. At measure 170, the left hand is playing two eighth-notes per beat, (six notes for the first half of the measure (three beats)), while at the same time, the right hand is playing a group of five notes over the three beats. This is known as cross-rhythm or polyrhythm*. What you need to do is practice the left hand, evenly playing the six notes over the three beats and then practice the right hand, five notes over the three beats. When put together the notes in the two hands will not coincide except on beats one and four. What it amounts to is five notes in the right hand against six notes in the left. While the notes in the two hands won't line up together except on the first beat, the right hand group of five should not be played absolutely mathematically; there is a certain amount of freedom of how the right hand group is to be executed in a context such as this. At the same time, the group of five has to be played in time. What other works of Chopin have you studied/played? 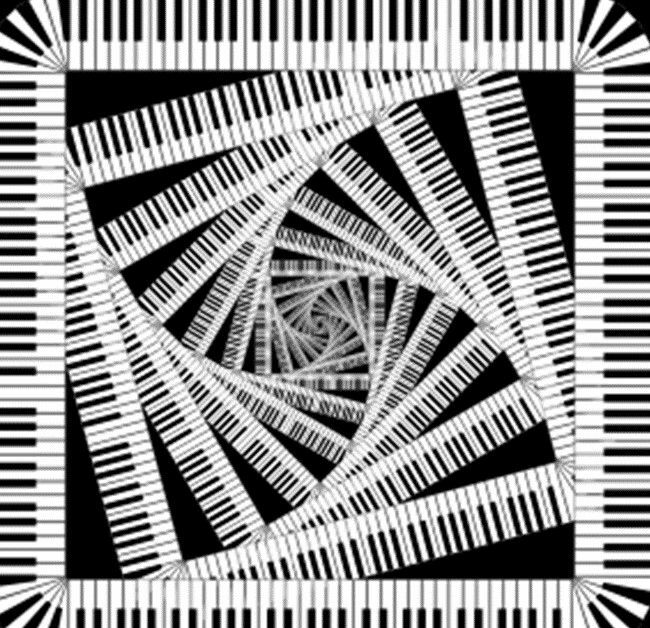 What other works by Chopin or other composers with cross-rhythms have you played? * I think of polyrhythm as a pattern that extends over several measures, over a whole section or over an entire piece, while I think of cross-rhythm as a pattern that occurs very briefly in a work. Do you have a teacher or is it a DIY job? Hello Bruce, thanks for you comment. The reason that I decided to study only 5/6 bars a week is because I was afraid that I will otherwise never finish the piece. For example, you can practice bars 33 till 66 a long time to get it up to speed properly. This could prevent any progress. I want to practice the speed when I know all the notes. Maybe this is not a good approach, I am not sure. So far I have not found any parts which are impossible for me to play. Only bar 113 I play somewhat differently (more easy). Some parts need to be played faster than I can play at the moment. Sometimes though I am surprised by the speed I can play a specific part, this is not the same every day. I am still having fun with the piece though. while at the same time, the right hand is playing a group of five notes over the three beats. Between the notes b and b-flat there is a line, does this mean this has to played as one note? Then I understand why I don't get the timing right. Thanks for the tips, I watched a youtube video on cross-rhythms which was useful. I will try to practice it myself now. I did play other Chopin pieces by the way: Nocturne 9, opus 9 no. 1 + 2 and nocturne cis-moll sharp minor. All very nice pieces. I think there is an insane cross-rhytm now that you mention it in the beginning of nocturne 9 no. 1. It took me some time to figure that out but I play it without thinking now. Time 6/4, there are 11 notes in the right hand in 3 beats against 6 eight notes in the left hand. In bar 4 it continues with 22/12. I had a teacher in the past till the age of 18 but I was not challenged by many hard pieces by my teachers. Probably because I was playing with another boy who was playing less good than me. Then I went graduating for seven years without piano. Two years ago I bought a keyboard for my own so I could play in my own home. Since then I have been playing more but not with a teacher. Last edited by Poetje; 05/16/17 05:25 PM. Played as one note (i.e. chord). Yes, that's the only way to write an interval of a minor second in this context. If you can only get 5/6 bars a week up to speed this would still support Bruce's comment. And isn't it incredibly boring to practice such a small amount of music over and over for a week? Try giving some slightly easier pieces a go as well. The way you're progressing with the Ballade, you'll find yourself hitting a lot of walls with no way up top. That is when your lack of skill will dwarf your enthusiasm and ambition and it'll give you a hard time none the less. This is entirely subjective, even though I used absolute terms like that in there but I'm assuming such a scenario so strongly here that its nearly equivalent. Imho, try some of Chopin's preludes and etudes. They're very musical for a piano study and offer considerable challenge. Once you find yourself playing and mastering a mid tier etude, your whole approach towards the ballade or any difficult piece would end up changing for the better. They're divided in "sections", not in "measures" and give the most fruitful results when you work on individual sections at a time and then put it together. If you find the etudes hard, try some of his waltzes (The one in C# minor is a great start) or continue with nocturnes. were are you based in the Netherlands? It could well be that I am not skilled enough to finish it properly yet but I will try anyway. If I start something I want to finish it. By the way, I do not find it boring because I repeat the notes I learned so it's not just practice it is also playing the song. Furthermore, I also play songs I already know. Thanks for the tip, I was planning to put the piece aside after I learned all the notes and hit a speed wall. I did the same with Beethoven 3rd movement. Imho, try some of Chopin's preludes and etudes. They're very musical for a piano study and offer considerable challenge. Once you find yourself playing and mastering a mid tier etude, your whole approach towards the ballade or any difficult piece would end up changing for the better. Do you have a nice suggestion? Waltz in c minor sounds nice. I do think I learned a lot from mastering nocturne 9 no 1 and 2 and nocturne in cis-minor. Maybe try some waltzes and etudes as well.